Boo: They’re Remaking SOAPDISH. Yay: Ben Schwartz Is Writing | Birth.Movies.Death. An underrated 1991 comedy is getting remade. The good news is that the writer is quality. 1991’s Soapdish is very underrated. A funny film with some great performances, including from Sally Field, Kevin Kline and a pre-messed up Robert Downey Jr, Soapdish is about the bitchy behind the scenes world of a soap opera. Now it’s being remade. Which I guess is fair game since Soapdish director Michael Hoffman is currently remaking Gambit. Take that! Anyway, this doesn’t feel like a film dying for an update but rather a concept that can be cleanly and quietly stolen; I don’t know what value the name Soapdish carries with audiences a decade later. But if it must be remade at least Ben Schwartz is writing it. 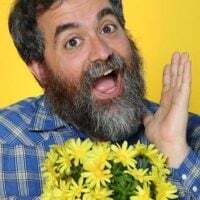 A very funny comic and writer (who you probably know best from his work on Robot Chicken), Schwartz has been teetering on the edge of being more than up-and-coming for a while, and this could put him over. In the meantime, I recommend checking out the original, which is so marginal it hasn’t even come out on Blu.